It’s been revealed that singer PIKO will be releasing a new single this summer. “Make My Day!” is PIKO’s sixth single and will be the opening theme song to anime “Binbogamiga!” (God of Poverty). The anime is scheduled to air in July, while the single is slated for an August 15th release. The manga is currently being serialized in JUMP Square. The single will come in three editions and the limited edition will include a DVD with performance footage from the “Ki/oon 20 Years & Days” concert that was held on May 19th, 2012. It will also come with a wide cap sticker and card. 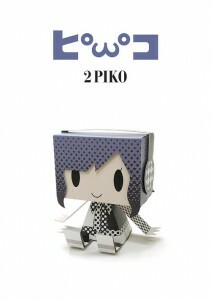 Limited edition B will include a Sakura Ichigo from ‘Binbogamiga!’ grafig (paper figurine) and the first press of the regular edition will include a PIKO card.